Same-day discharge is still a novel concept in Indian health care, but this company’s growth is evidence that it is catching on. In a country that associates surgical care with hospitalisation, the concept of ambulatory services, or same-day discharge, requires greater trust in scalpel-wielding specialists than patients have ever had. Surgeons, too, are only now warming to this idea. 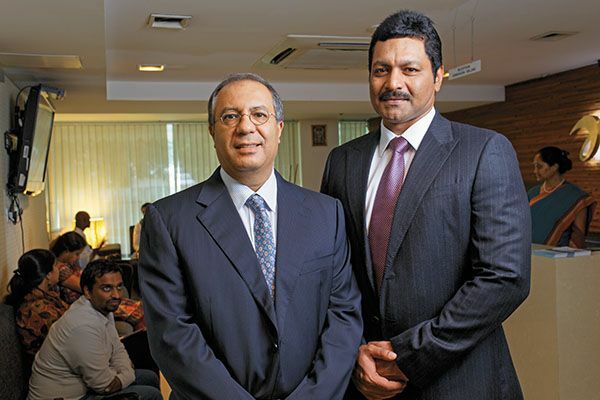 When Nova Medical Centers started in June 2009, in Bangalore where it is headquartered, it had to evangelise ambulatory services, which comprise 70 percent of all surgeries globally. It took a year to start the second centre. During this time, it evolved from pure day care to short-stay (where a patient could stay overnight at no additional charge). Since then, the growth has been rapid. Nova now operates 12 short-stay surgical centres and six IVF centres in seven cities. 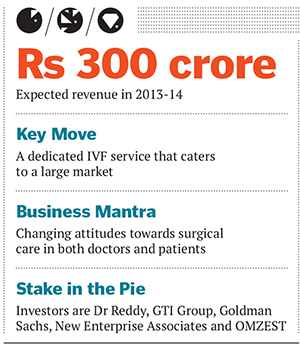 It will ring up nearly Rs 300 crore in revenue in 2013-14. Each centre, run as a small business unit with its own profit and loss account, is complete with pharmacy, pathology labs, diagnostic services and health check-ups. “It has all the complexities of a big hospital but it neither feels nor smells like one; it is like a boutique hotel,” says Suresh Soni, chairman and chief executive officer. In the IVF business, where the break-even is faster, its tie-up with IVI of Spain, which brings the whole kit and kaboodle of technology, treatment protocols and research, is the biggest differentiator. Of nearly 120 million infertile couples in India, 20 million can afford Nova’s services, it claims. That gives it a reasonably big addressable market. Soni seems to have mastered the art of spotting, seeding and growing businesses. They may be as diverse as power electronics, oil technology and aircraft overhaul and maintenance, but he finds a way to fast-track them all. Before Nova, it was Airworks, a decades-old family-owned business which he acquired and turned around, along with other investors; it grew from Rs 10 crore to Rs 250 crore in two years. For a technology professional who had spent 20 years in the US with companies like Lucent and Emerson, parachuting into India as venture partner of GTI Capital was a tantalising challenge for Soni. Once he finalised on short-stay surgical centres as a business focus, he began searching for surgeons. That was when he met Dr Mahesh Reddy. An entrepreneurial surgeon, Dr Reddy had opted to specialise in non-emergency/trauma surgeries during his training in the UK. Soni and Dr Reddy are well matched. Soni wants to build a $1 billion business; Dr Reddy wants to see ambulatory services reach every corner of India and hopes that government hospitals will, like the UK’s National Health Services, move to day surgeries for efficiency and cost reduction. By offering 900 to 1,000 short-stay surgical procedures, Nova provides a scalable model of effective and affordable health care. Since patients don’t stay in hospitals, there are fewer acquired infections. It has also shown a healthy way to co-opt doctors. Instead of a salary, Nova provides fee-for-service (every surgical package has a fixed price) and allows doctors to buy equity in the business. “It is a doctor-owned and doctor-managed model,” says Soni. Each centre, built in leased buildings, has about 25 beds and 40-50 consultants. The cost-per-centre ranges from Rs 12-20 crore depending on the location. This allows it to provide services at 20-25 percent lower price than the big hospitals. Some of the surgical and IVF centres are Ebitda (earnings before interest, taxes, depreciation, and amortisation) positive. It is a three-year-old brand and present in only seven cities. Since it conducts procedures for which patients typically choose big hospital chains, Nova chose to build a reputation first, and then launch a marketing campaign. Then, the investors, other than Dr Reddy, are global—GTI Group, Goldman Sachs, New Enterprise Associates and OMZEST—thus the company has managed to keep a low profile. Like most businesses, Nova faces the challenge of retaining and managing talent. “Everyone in India is in a hurry to change jobs and make money,” says Soni. Getting doctors’ buy-in for the day care format as well as for their remuneration process is tricky, because aspiring professionals go by the number of beds rather than by profitability or care outcomes. Though Dr Reddy says this model is financially more rewarding as doctors don’t pay any affiliation fee, which is required of consultants in some hospitals, it takes a while for a centre to fill up. A limiting factor, says Amit Mookim, a partner with KPMG India, is that this is a consultant-dependent model. In a country where tertiary care is well established and primary care is in a shambles, Nova is setting up the much-needed middleware but it will be a while before the results start showing, he says. Meanwhile, given that it has a handful of financial investors, Nova does intend to list “at some point” to allow them good exits. But, for now, it wants to build a business that will yield Rs 2,000 crore in four to five years.